Whether you already maintain a healthy lifestyle or could use a little encouragement, completing our 21-Day Purification/Detox program will help you develop healthier eating habits for a lifetime. This program is not a diet. It’s designed to help you make changes to incorporate more whole foods and natural supplements, eliminating from your diet and your body the unhealthy substances that leave you feeling sluggish and bloated. How Do Toxins Affect My Body? Over time, these same toxins can develop into more troublesome problems, like arthritis or cancer. 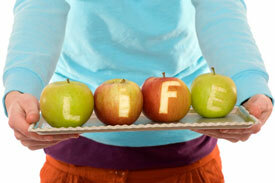 Our bodies are naturally designed to eliminate toxins and to help us maintain good health. But modern living has overburdened our bodies with a variety of toxins from food additives, preservatives, pollutants, chemicals, and pesticides. The Environmental Protection Agency reports that the average American consumes four pounds of pesticides each year and has residues from over 400 toxic substances in their body. More than 3,000 chemical additives are found in the foods we eat. The interactive 21-Day Purification/Detox program we offer is different from other lifestyle programs you may have seen. With other programs, you sign up and are left to go through the plan alone. Not here. We will be with you every step of the way, supporting you and providing you useful tips and information to help you through the 21 days and beyond. If you have questions along the way, simply call our office – we’re here to support you.